This Australian residence by CplusC architectural workshop illustrates a seamless transition between interior and exterior space. 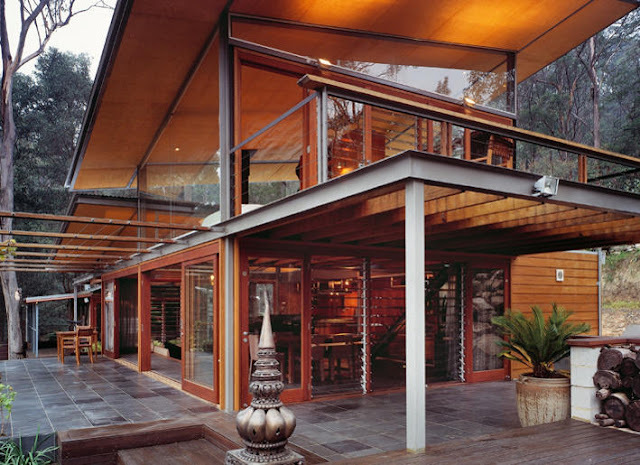 I really appreciate how the pergola is incorporated into the structure of the house; the steal beam runs between interior and exterior structures. 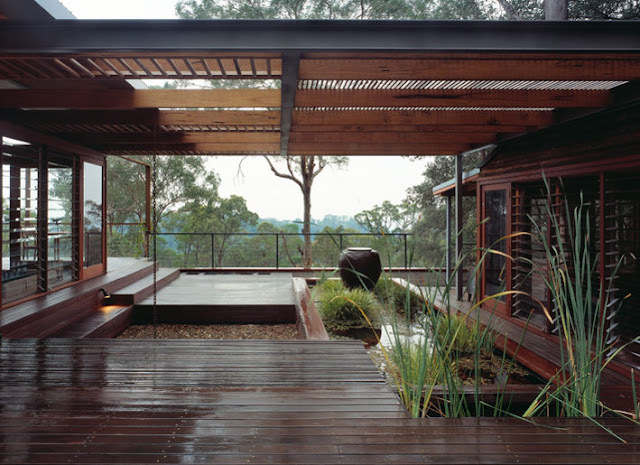 So often landscape is an afterthought to the architecture, is a divergent style or not at all considered and in all of these cases looks the part. It's nice to envision a world where design professionals - architects, landscape architects - work together throughout a project to create a cohesive design.